NBA licenses in basketball games weren’t as common back in the day, but even having one didn’t guarantee the game would be fun. 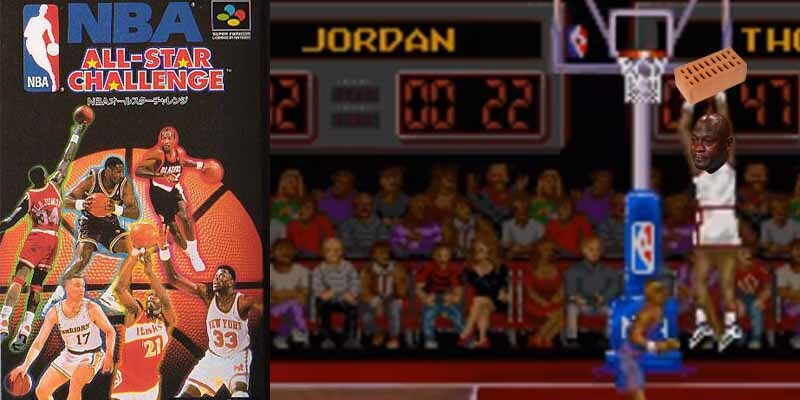 NBA All-Star Challenge (SNES, 1992) had five modes, none of which were particularly enjoyable. There was a Free Throw mode where you stand there, and shoot free throws. No competition, skill, intensity or enjoyment. Aside from the one on one’s and tournament, there is a “HORSE” mode. This mode wasn’t really ‘Horse’ anyway. You merely shoot shots from a red circle and gain letters when you miss. The game uses NBA names, teams and player designs, but for a 90’s game they weren’t anything special. The gameplay, made for Nintendo was purely horrendous and merely impossible to make sense of.